Get the lowdown on America’s Bloodiest War—the Civil War—with this essential guide to 101 interesting and unexpected facts about this defining event in US history. Do you know which state first seceded from the Union? What about the individual who could be considered the Mata Hari of the Civil War? Or how about which Bible passage Southerners used to justify slavery? You’ll find answers to these questions and many, many more in 101 Things You Didn’t Know about the Civil War. Packed with fascinating details about the people, places, and events that defined our nation’s most contentious conflict, this tell-all guide reveals the inside scoop on slavery and its impact on the war; great—and not-so-great—leaders and generals; battles fought and lost—and fought again; some of the most shocking horrors of the war; women, children, and African Americans in the war. 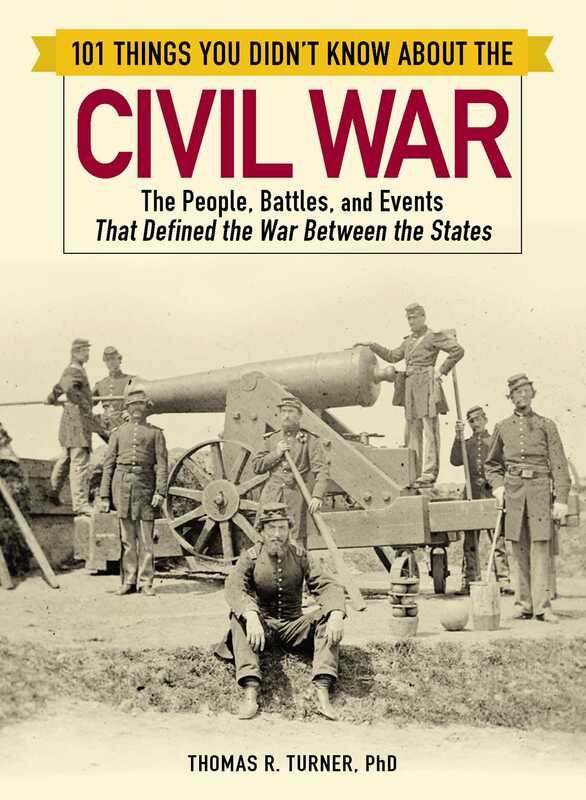 Complete with a helpful timeline, 101 Things You Didn’t Know about the Civil War is your go-to guide for little-known facts about the war that dramatically altered the course of American history forever. Thomas Turner, PhD, is a professor of history at Bridgewater State College, in Bridgewater, Massachusetts.